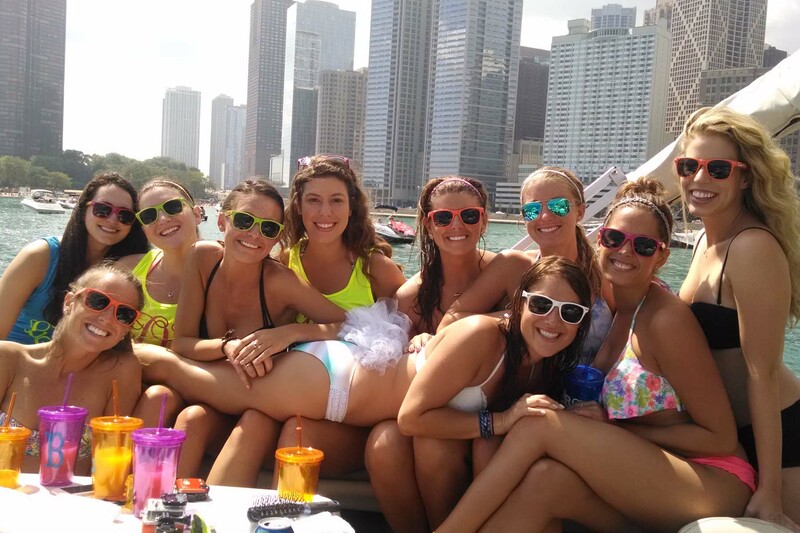 We provide our customers with the friendliest and safest way to have an unforgettable party boat experience on Chicago’s Lake Michigan. Book us for any of your summertime Chicago events. Perfect for bachelor & bachelorette parties, birthdays, corporate & group outings, or just an exciting family outing. Our boat fleet has various size options, most with US Coast Guard Certified Captains and deckhands on board. BYOB with cooler & ice, grill, bluetooth stereo, and floaties. Don’t forget about the waterslides! 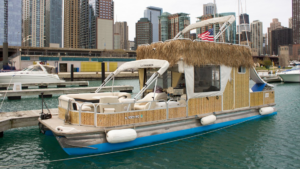 We had a super fun team outing on the Chicago Tiki Boat thanks to a recent Groupon deal…The boat has everything you need for a short ride – grill, coolers, floaties, seating, bathroom, sink, music, phone chargers. You name it – they have it! Just finished my first boat trip with TikiBoat Chicago. 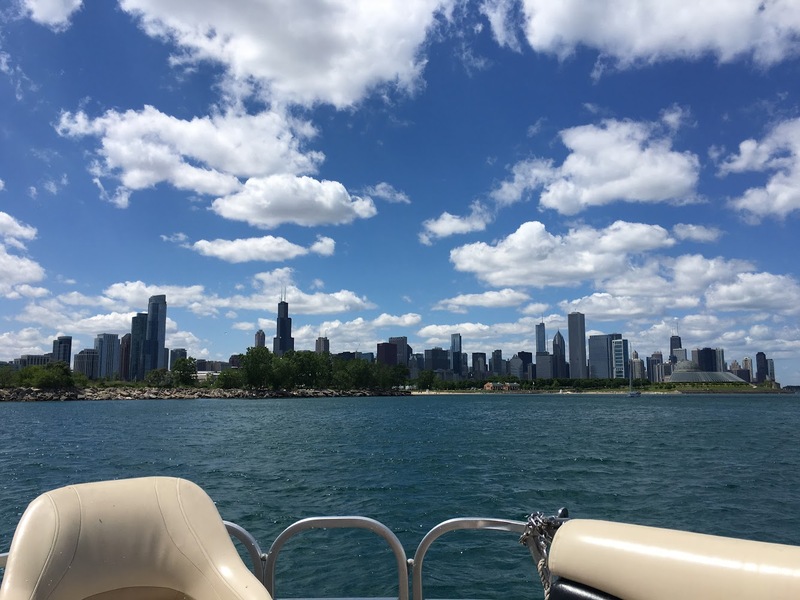 It was one of the best trips I’ve had touring the Chicago River and Lake Michigan. The boat was great and big enough to comfortably fit our entire party. When we dropped anchor, we they even had a water slide we could use. So much fun. A special thanks to Captain William for making the trip so much fun. Gas grill included. 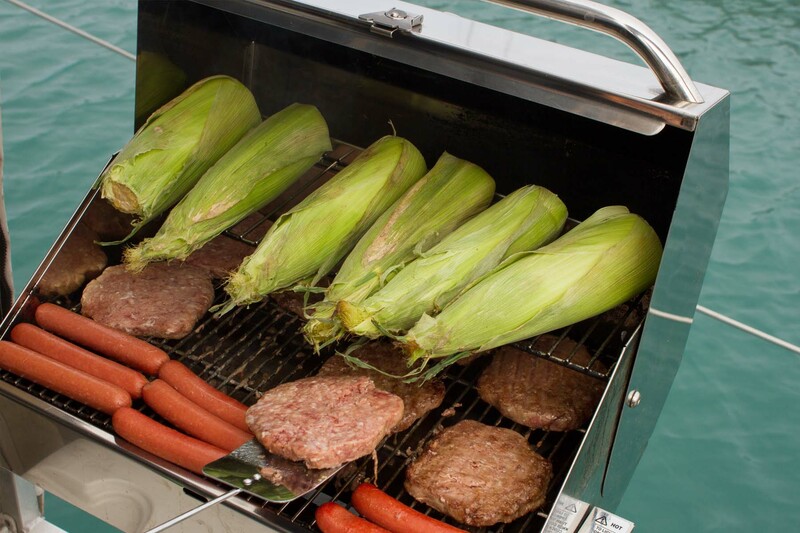 Bring your own food to grill on your excursion! We take pride in the cleanliness of our vessels. 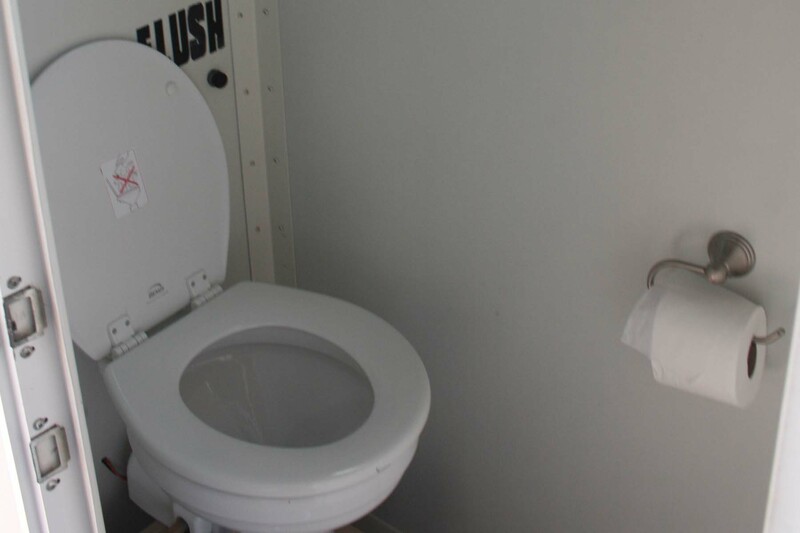 Enjoy your excursion with a very clean bathroom with an electric flushing system. We are BYOB! We have a cooler with 3 bags of ice included in each rental. Bring your favorite concoction to enjoy on the water. 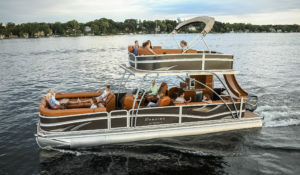 Our TikiPontoon vessel can hold up to 12 passengers, but our FunTime vessel can hold up to 20 passengers. 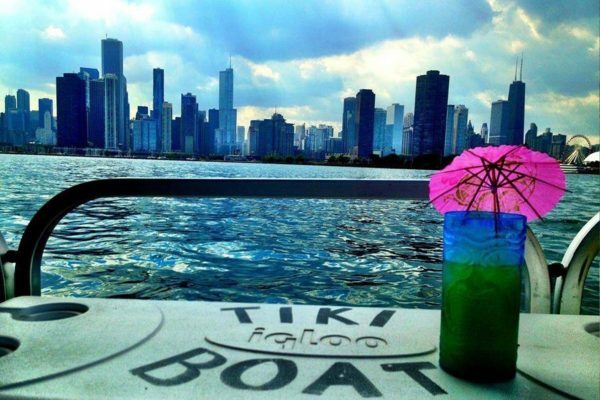 Enjoy your next party on a TikiBoat! 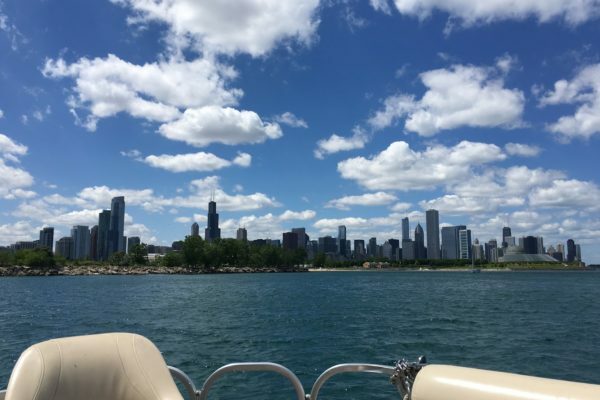 Enjoy the Skyline from the Lake! 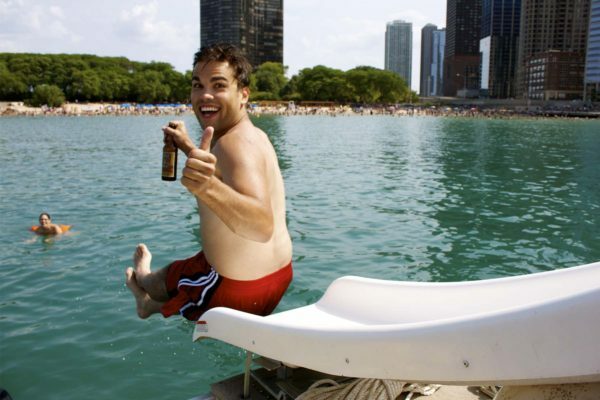 Our TikiPontoon is equipped with a waterslide! Enjoy a sunny day on the lake and cool off with a slide into the water. You may receive a full refund up to 30 days from your rental date. If you need to cancel for any reason up to 72 hours prior to rental time, you will receive 75% of your deposit back. If a cancellation is made within 72 hours of the rental time, you will receive 50% of your deposit back. Inclement weather may occur and in any event a “captain’s call” will be made prior to the start of the charter if weather conditions are too hazardous. We will then reschedule your rental free of charge. Due to U.S. Coast Guard regulations, our maximum passenger capacities cannot be increased under any conditions. Our passenger capacities are regulated and done so for your safety on board. We are BYOB on board all of the vessels. 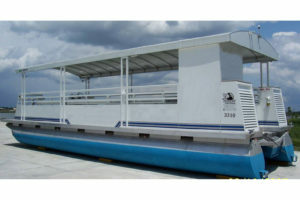 We provide a large cooler and ice on board as well.